Following win in São Paulo, Sérgio heads to U.S. to preach gi gospel. Jungle Gym Wins Overall Team Title at 2010 Grapplers Quest Europa in Hartford, Connecticut. Jungle Gym Wins Overall Team Title at 2010 Grapplers Quest Europa in Hartford, Connecticut. Major congrats to Justin Garcia’s JUNGLE GYM for winning their first Overall Team Title in Grapplers Quest history. It’s always great to see home grown, old school grapplers who fought through the ranks create such amazing teams. Creating champions, not just on the mats, but off the mats is what Jungle Gym is all about. With their tremendous growth, including a 3rd school in the NYC Tri-State area, winning their first team title at Grapplers Quest, Jungle Gym just might be the team to watch for, they are bringing a fleet of competitors each show, having qualifiers, and showing up in force to cheer their team on. 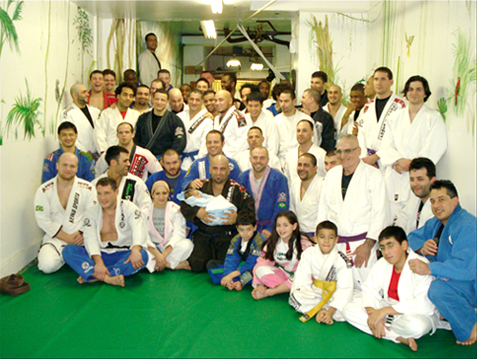 Congratulations to all Coaches, school owners and fighters who came out to make this event a success and especially to our NEW team champions, Jungle Gym (http://www.junglegymbronx.com/). Next post World League Cup creator, Fernando Lopes Interview. Previous post Demian analyzes Alan Belcher’s ground game.